A Walk in the Countryside: Easter is More than Bunnies! Do your children or grandchildren know the real reason of Easter? Do they know that it is more than bunnies, chocolate and dyed eggs? If they don’t, could you please share Jesus’ story with them? Tell them that they can live forever with Jesus! Buy those babies some candy for their baskets but don’t suppress the real, fascinating truth of Jesus' triumph over death. 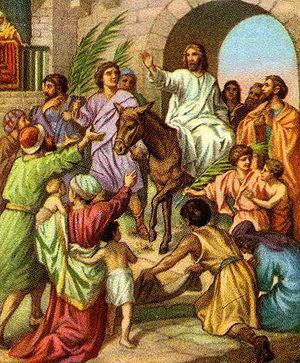 On Palm Sunday, Christians celebrate the triumphal entry of Jesus in to Jerusalem the week before His death and resurrection. This marks the beginning of Holy Week, which concludes on Easter Sunday. He rode upon a colt of a donkey, which fulfilled the ancient prophesy in Zechariah 9:9. This is the only time in the Bible where He rode an animal. The people threw their cloaks on the ground and put palm branches on the road before Him. Others waved palm branches in the air. In ancient times, palm branches symbolized goodness and victory. They were often engraved on coins and important buildings. In Revelation 7:0, it tells us that people from every nation will raise palm branches to honor Jesus. Immediately following the celebration, Jesus’ journey to the cross began. The crowds refused to see Jesus as He truly was, placing their personal desires on Him instead. They were looking for a military Messiah who would overthrow the Romans and restore Israel’s independence. Who is Jesus for you? Is He someone whom you want to satisfy your selfish wants and goals, or is He Lord and Master who gave up His life to save you from your sins? Now, back to the babies! 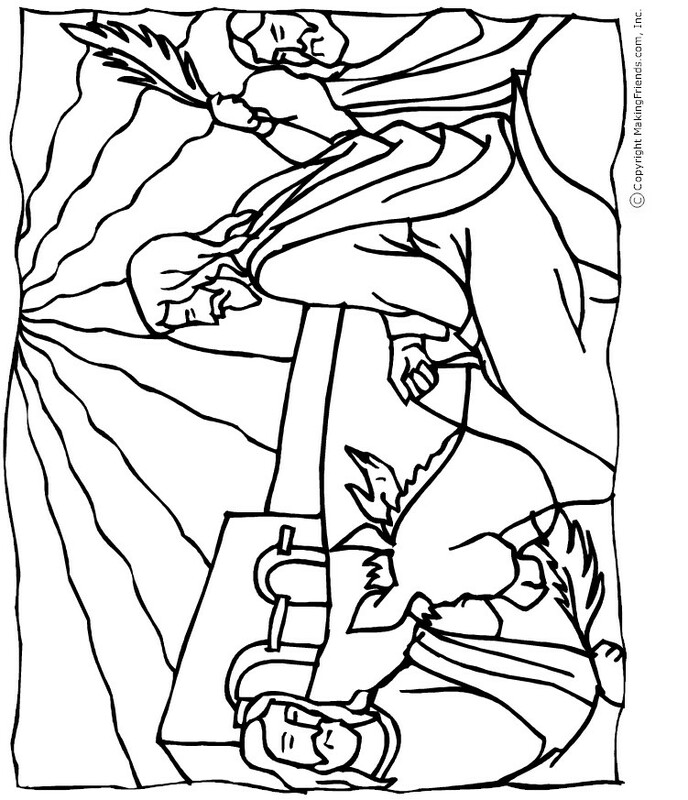 Here are some coloring pages along with a helpful link to Easter stories for children. To print out the pages, click on the picture which will take you to another link where you can print it. So please, hug those babies and tell them Jesus’ story! So true. I won't give a bunny the credit for Easter. Our daughter is told the story of the empty tomb! Treats are fun to eat. That's it. Thanks for your post!